Available in Spider Version 2014.07.24 or above. PCSchool has added the ability to reset individual or specific templates. Previously when adding new controls to user templates you were only able to reset the main default user template for Staff, Students or Caregivers. 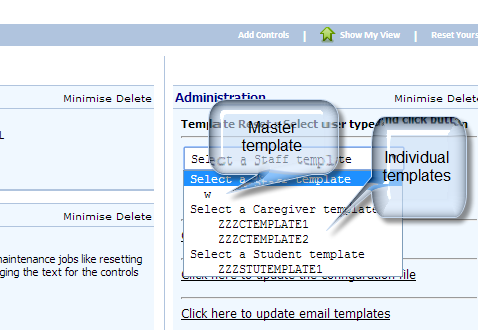 Now via our updated ‘Administration’ control in the Spider system administrators can select any template type (Dean, Nurse, Senior teacher, Junior teacher etc). Available in Spider version 2014.03.05 or above. PCSchool payment portal currently emails a default staff member (accounts receivable) when a payment has been made by a parent. This has now been extended to the Donation Portal to allow for a different staff member to receive notification when a donation has been made via the donation portal. Options for payment email notifications are found in the Administration control – Update Configuration File in the Spider. Available in Spider version 2014.03.04 or above. 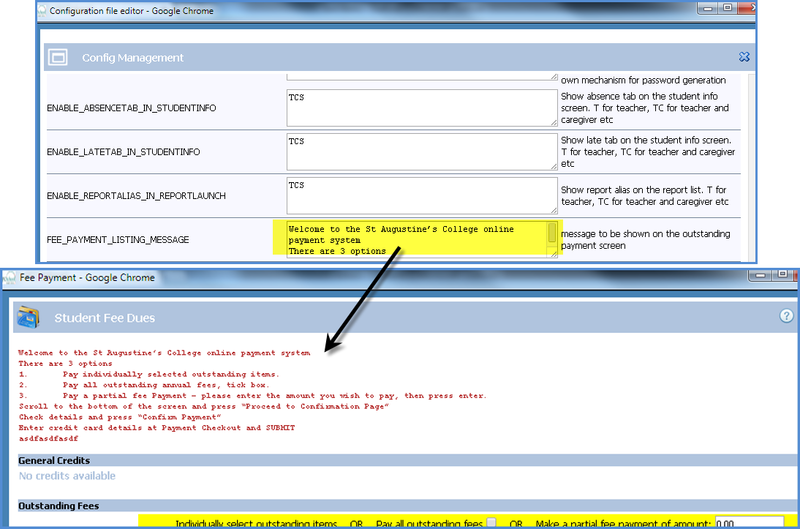 PCSchool now allows schools to hide the various tabs within the Student Information View in Spider. This means, for example, that you can hide the Medical Conditions tab or Special Needs tab from students when they enter the Student Information View in Spider. Options to hide the various tabs are found in the Administration control – Update Configuration File in the Spider. Available in Spider version 2014.03.04 and above. PCSchool has enhanced the integration between the Spider Calendar and Assessment Criteria information when adding assessment task due dates to the calendar. Previously when publishing assessment due dates to the Calendar, via the Subject and Assessment Criteria control in Spider, it only allowed the date, item description and an attachment. Now the ‘Criteria’ information for that task will also be displayed in the Calendar. 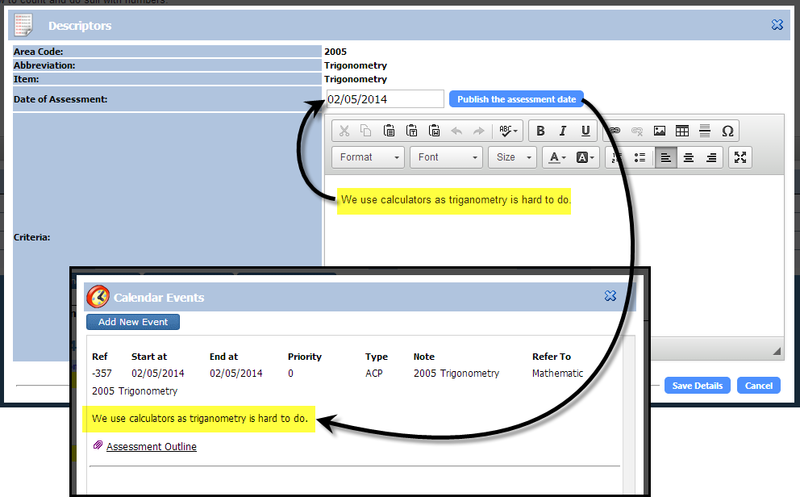 In addition, any attachments to assessment items in the Calendar will now open in a new window. Available in Spider version 2014.03.17 and above. PCSchool has enhanced the Student Co-Curricula Data Entry control in Spider with the following options. 1. 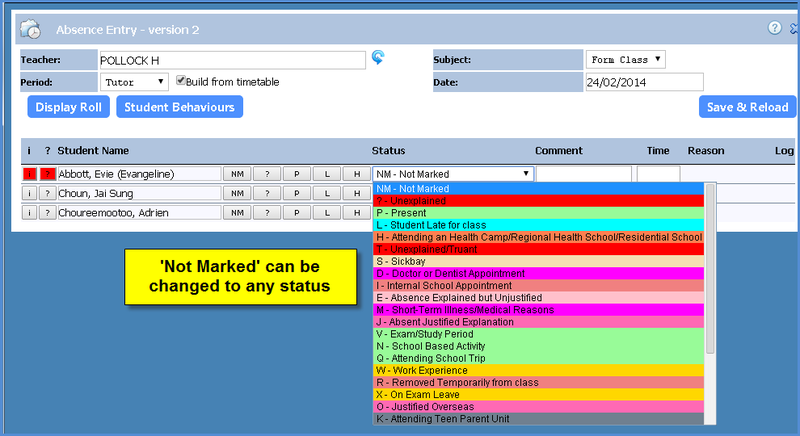 Option to use the students current year level when adding the co-curric activity – this is useful where a tag set comprising of students in different year levels is being used. a. Allow Duplicates – will add the activity regardless of if the student already has this activity attached to them (eg will allow duplicates). b. Do not allow and throw error – will show an error each time if it finds the student already has this activity attached to them. c. Do not allow and continue next – will show an error at the end of the process for any student that already has this activity attached to them. Available in Spider version 2014.02.25 or above. 1. 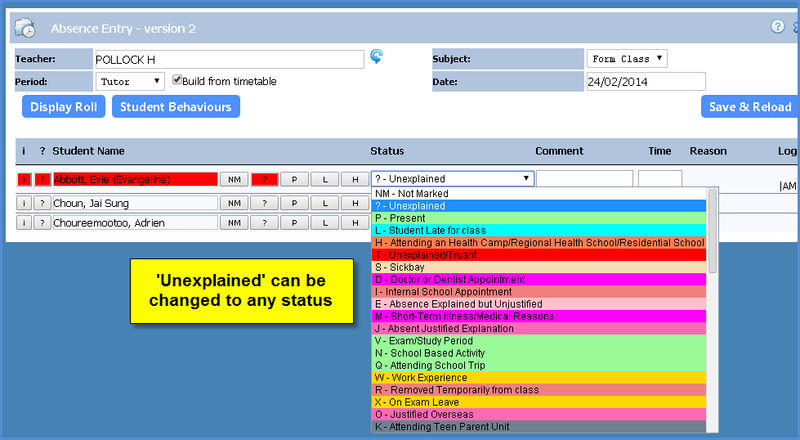 If the student is currently ‘NM – Not Marked’ the teacher can select any available status from the list including ‘? – Unexplained’. 2. If the student is currently ‘? 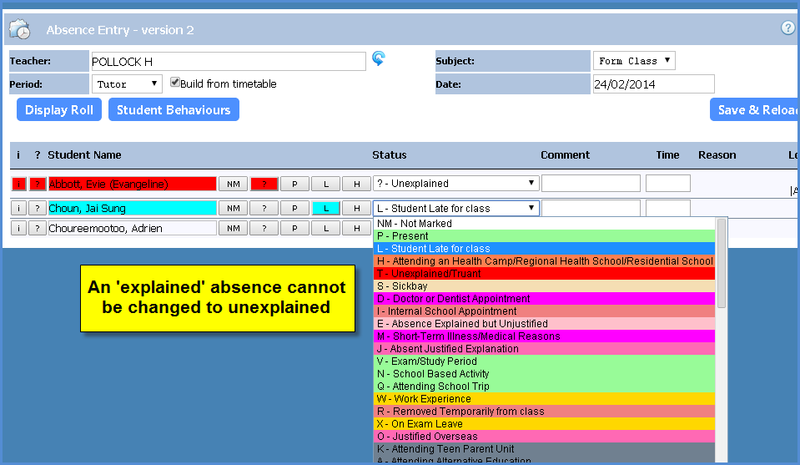 – Unexplained’ the teacher can select any available status. 3. If the student currently has a status other than NM or ? (eg Late to class, Sick, Present, Excursion etc) the teacher cannot change it to ‘? – Unexplained’. The reason for this is so that classroom teachers cannot change an explained absence (possibly entered in by the office) to unexplained.